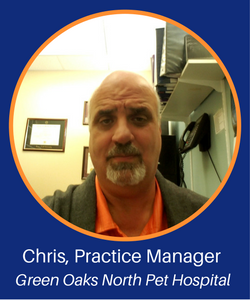 Chris is a practice manager at Green Oaks North Pet Hospital, a practice in Arlington, TX. He believes email addresses are just as important as phone numbers, so his practice recently cleaned up their email database, improving email collection from 65% to 91%. So how did Chris go about cleaning up his email list? He requires everyone who walks into the practice to update their information. They print out a sign-in sheet the night before with a list of everyone who is coming in the following day. “They either update their information or check that nothing has changed. On an average, we see about one to two clients a day have changed information,” says Chris. It may sound burdensome at first, but over the course of a few months you’ll see a significant impact on your overall client communication and compliance. Email addresses are extremely beneficial to your practice, and keeping them up-to-date along with regularly collecting them should be a vital part of greeting your clients. Download our sign-in sheet template here.